USA, October 16, 2017 – Data from a recent study show that the use of golf carts has caused significant injuries in children under the age of 17, including brain injuries. Golf carts are somewhat inaccurately named as their uses goes far beyond the golf course. 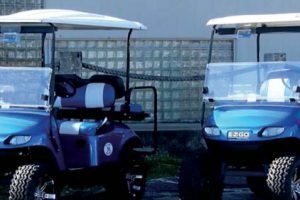 Golf carts are used in many communities in addition to golf courses, including retirement communities, farms, and shore communities. In fact, while many golf cart-related injuries do occur on the golf course, up to 30 percent occur on public streets, yards, and farms. 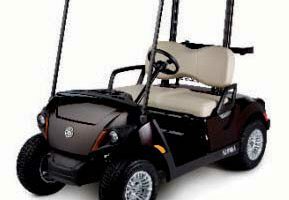 In both Pennsylvania and New Jersey, golf carts are exempt from registration requirements. There are few regulations relating to them. Study Shows Increasing Number of Golf Cart Injuries Researchers evaluated approximately 100 children under age 17 treated in Pennsylvania trauma centers for injuries sustained in golf cart accidents over an 11-year period. Twenty seven percent of the children injured in golf cart accidents suffered a concussion. The risk for concussion was found to be higher for children ages six to 11, compared with kids under six. 25 to 30 percent sustained intracranial injury and brain bleeding. One child died. The average age of a child injured in a golf cart accident was 11, according to the study. Most fractures occurred in children under the age of six. Three-quarters of the victims experienced at least one broken bone; 44 percent of those injuries were skull fractures. Over a third of the accident victims were admitted to an intensive care unit, according to the study. 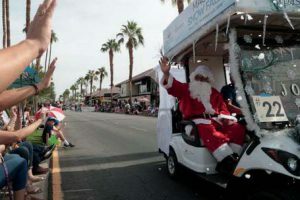 Over the period studied, the number of children admitted to a trauma center due to golf cart-related injuries remained constant but the injuries suffered were comparable in severity to ATV accident victims. This was true even though golf carts cannot achieve the same speeds as ATVs. Golf cart injuries in children have not been studied to the same extent as ATV injuries. One question the study raised is whether parents understand the risks of allowing children to use golf carts. Golf carts have no safety features for children and, unlike bicycles, children are not required to wear a helmet while operating a golf cart. Lack of awareness about the dangers posed by children using golf carts helps explain the high rate of head injuries since helmets are not worn while using the carts.